1. The Asian Bankers Association (ABA) held its 20th General Meeting and Seminar on 6-8 October 2003 in Manila, Philippines. Over 185 high-ranking executives of some 52 financial institutions from 16 countries in the region attended the three-day gathering. 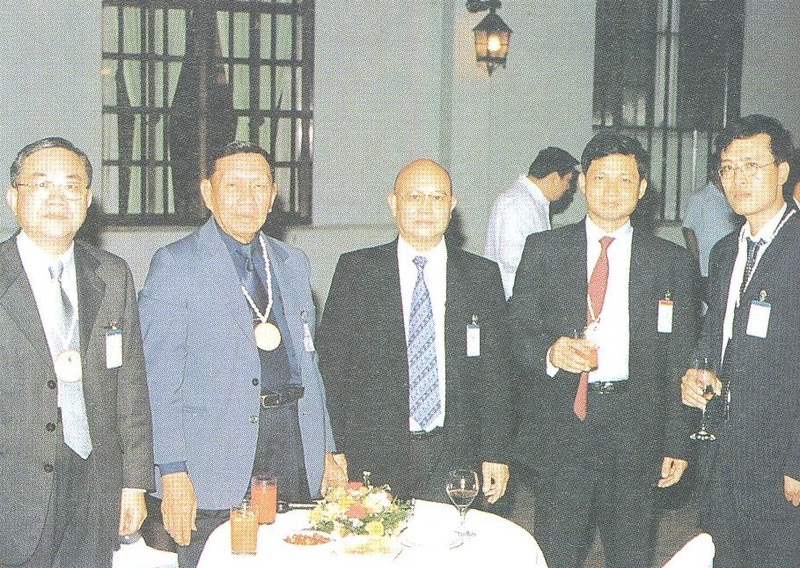 Rizal Commercial Banking Corporation (RCBC), one of the leading banks of the Philippines and an active member of ABA, hosted the 2003 meeting. 2. This year’s seminar focused on the theme ”Challenges and Competition in a Globalized Market.” The discussions provided delegates with valuable perspectives on the challenges that banks must address in the face of continuing globalization of markets and the increased competition it brings for the banking industry in the region. Experts were invited to share their views on how Asian banks should address these challenges and what they need to do to sharpen their edge, particularly in terms of sounder risk management, corporate governance, and continuing financial reforms. 3. The ABA also convened the 33rd Board of Directors’ Meeting in conjunction with the Manila gathering. The Board discussed internal policy matters and reviewed the status of various ABA projects. 4. Secretary Jose Isidro Camacho of the Department of Finance of the Philippines inaugurated this year ‘s meeting. In his Keynote Address, The Finance Secretary noted the sense of optimism prevailing in the region, as many countries showed signs of economic recovery from the difficulties brought about by the September 11 terrorist attacks, the outbreak of SARS and the Iraq war. To sustain this growth, he stressed the need for continued efforts to push for structural economic and financial reforms; export market expansion to avoid reliance on few markets while diversifying the domestic sources of growth, and regional cooperation in solving common problems and meeting challenges that have a wide-ranging impact on the region. He expressed appreciation to the ABA for its efforts in addressing these issues. The full text of Secretary Camacho’s Inaugural Address is attached as Appendix 1. 5. 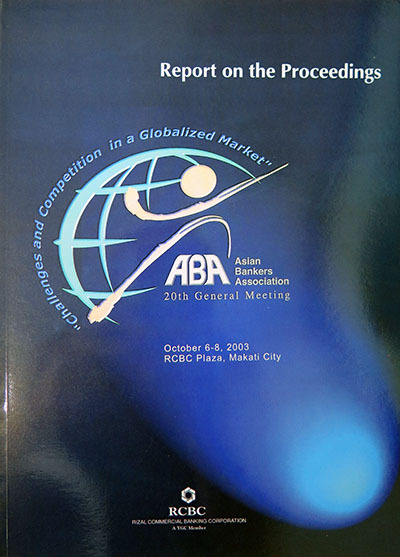 In his Welcome Remarks, ABA Chairman and RCBC Honorary Chairman Ambassador Alfonso T. Yuchengco noted that while the continuing globalization of markets had opened up new opportunities and created an increasingly important role for banks and financial institutions, it also meant they must face up to emerging risks and the need to maintain stability within their respective institutions. Ambassador Yuchengco further observed that various events over the past years had shown that global financial markets were dynamic and volatile. He therefore stressed the need for continued dialogue and consultation to promote regional cooperation in addressing common issues of concern. The full text of Ambassador ‘s Welcome Remarks appears as Appendix 2. 6. In his response to the Keynote Address of Secretary Camacho, ABA Founder and Chairman Emeritus Dr. Jeffrey L. S. Koo acknowledged that the challenges facing the regional economy were not easy to tackle, but he expressed confidence that the fiscal and financial reforms initiated by governments in the region ensured a good future for Asia. He cited the active role of the ABA as a strong advocate of financial reforms. He noted that for many years, the Association had been calling for the promotion of sound risk management in banking systems and developing domestic and regional bond markets. He was also happy to see that governments in the region, especially in APEC, were implementing the proposals and recommendations of the ABA. The full text of Dr. Koo’s response appears Appendix 3. The session discussed the challenges, requirements and methods of developing robust risk management practices and the options available to Asian banks. It was noted that the challenges facing banks included establishing an enterprise-­wide risk culture in which risk management is the responsibility of every employee, integrating and enhancing risk management systems to meet internal and regulatory requirements with the necessary systems and technology support, allocating economic capital on a bank-wide and more proactive basis with performance measures that motivate behavior aligned with capital objectives, and complying with Basel 2. Session Two: ”Corporate Governance in Banking ” – The speakers and commentators for this session included Tan Sri Mohamed Basir bin Ahmad, Chairman, Malayan Banking Berhad; Mr. Alfredo Pascual, Director, Private Sector Operations Division, Asian Development Bank; and Mr. Stefan Hohl, Senior Economist, Bank for International Settlements. 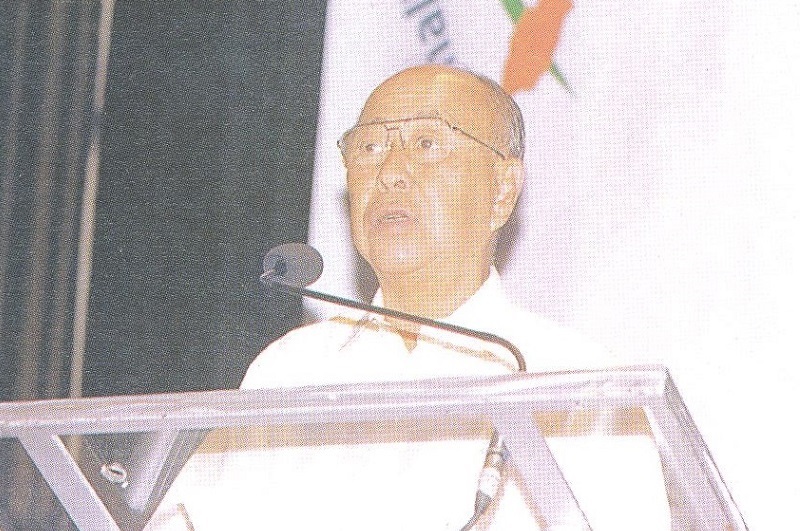 Serving as session chairman was Mr. Rizalino S. Navarro, Chairman of RCBC. The session outlined the current trends in corporate governance in the banking sector, their implications for Asian banks, and ways to ensure sound governance of financial institutions within the context of the region’s business culture. The speaker and commentators agreed that an effective risk management process can provide the framework for good corporate governance. They pointed out that risk management does not mean eliminating risk altogether but, rather, understanding the risks present in all endeavours of the corporation and minimizing such risks. 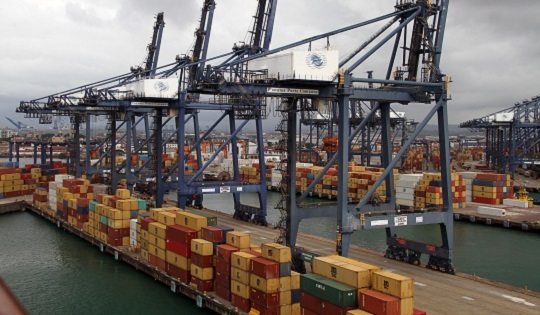 However, they stressed that management, while complying with the requirements of good corporate governance, must not lose sight of the needs of the business in order for it to prosper. Session Three: ”Globalization and Asian Banking Competitiveness” – The speakers and commentators for this session were Dr. David K. P. Li, Chairman and Chief Executive, The Bank of East Ltd.; Mr Louis T. Kung, Vice President and General Manager for Shanghai Branch and Country Manager for the People’ s Republic of China, The Bank of New York; and Dr. Shing-Shiang Ou, Senior Vice President and Chief Economist, Bank of Taiwan. The session was chaired by Mr. Mu -Tsai-Chen, Chairman of the Bank of Taiwan. The session assessed the readiness of banks for the onward progress of globalization and discussed strategies for enhancing competitiveness to meet this challenge. 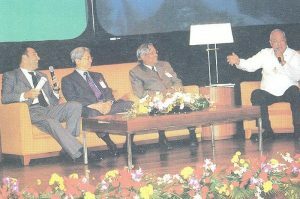 Dr. Li observed that the greatest threat for Asian banks is not the big international players but their own complacency. He called on them to skillfully adapt international best practice to local conditions in order to succeed. Dr. Li also observed that in a globalized market, the challenge that Asian banks face is how to expand the relationships with their customers and increase the value of each customer to their business. He said that Asian banks hold the advantage over the international banks in this regard, and should not fear the effects of globalization. The commentators remarked that the ability to control operational risk and to manage in a rapidly changing environment is essential for Asian banks. Therefore, the trend towards specialization, outsourcing, revenue sharing and strategic partnership with foreign banks will continue to prosper. They also pointed out as a result of continuing globalization, banks will either merge, seek alliances, or scale back into more focused niches. Session Four: ”Review of Financial Reforms in Asia ” – The speakers and commentators included Mr. Cesar E. A. Virata, Corporate Vice Chairman and Acting CEO, Rizal Commercial Banking Corp., Prof. Akira Tsusaka, Holder of the Chair of Lord Takayama, University of Santo Tomas Graduate School of Business; Dr, Heh-Song Wang, Adviser to the Minister of Finance of the ROC and Chairman, Research and Development Committee of the Bankers Association of the ROC; and Dr. Vu Viet Ngoan, Chief Executive Officer, Bank for Foreign Trade of Vietnam. 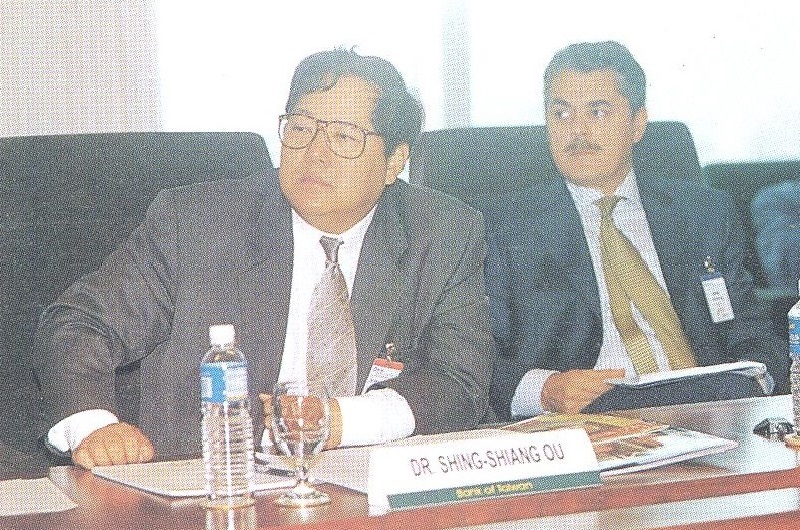 Acting as session chairman was and Mr. Dong-Soo Choi, Chairman and President and CEO of Chohung Bank. The session reviewed the progress of financial reforms in the region, the lessons to be learned, factors contributing to the success of financial reforms in various countries in the region, and their implications for the future of the Asian banking sector. The speakers noted that while there were differences in the level of response and measures taken, the region in general had responded to the challenges of financial reform in more or less similar manner. The reform agendas had included common elements such as closer supervision and tighter discipline of banks, greater transparency in financial transactions, promotion of more competition, and enactment of bankruptcy laws and stronger commercial codes and strengthening of the rule of law. The speakers agreed that financial reforms could promote financial stability and healthy development, and can prevent future financial crises from occurring. They pointed out, however, that for financial reform to be effective, there must be a strong and consistent support from the head of government, the finance ministry and the central bank. They further agreed that close coordination and cooperation among various government departments were also required for the success of financial reform. 8. The Board ratified the admission of five new members of the ABA. These included: Punjab National Bank from India, Macoto Bank from Taiwan, and three banks from Vietnam, namely: Asia Commercial Bank, Vietnam Export-Import Commercial Joint Stock Bank, and Vietnam Bank for Agriculture and Rural Development. 9. The ABA Board named Mr. Dong-Soo Choi, Chairman and President and CEO of Chohung Bank from Korea, as the new Vice Chairman of the Association, replacing Mr. Sung-Bok Wee, who had left Chohung Bank. 10. The ABA approved a position paper entitled ”Building Capacity in Asia-Pacific Banking Systems to Effectively Implement the New Basel Accord.” In the paper, the ABA advised authorities in the region to facilitate the adoption of more advanced risk measurement and management systems by banks that are willing to do so. It called for further capacity-building efforts to ensure the adequate and opportune preparation by banks and bank supervisory authorities in the region to implement the new accord. The full text of the ABA position paper is attached as Appendix 4. 11. The ABA also endorsed the ”Report on the Status of the Convergence of Domestic Accounting Standards to International Financial Reporting Standards (IFRS) among APEC Economies.” The Report contained ABA’s recommendations to overcome the impediments to convergence within the APEC region, and to accelerate the convergence process. 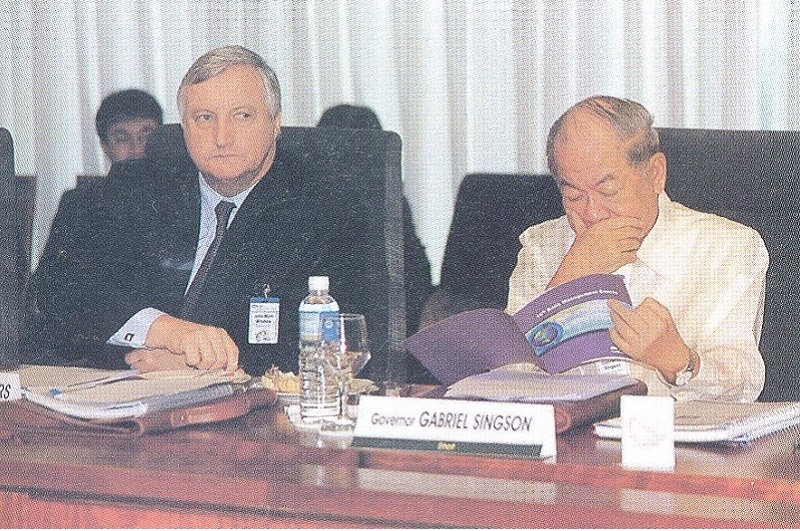 Among others, it called for the establishment of a collaborative initiative on convergence under the APEC Finance Ministers’ process to facilitate and monitor the progress of convergence, the creation of a funding mechanism that will serve as a conduit in providing financial assistance to APEC members with limited convergence financial resources, and the establishment of an APEC-wide regional convergence plan. 12. The ABA agreed to hold its 21st General Meeting and Seminar in Hanoi, Vietnam in October 2004, with The Bank for Foreign Trade of Vietnam as host. In his report to the general membership, ABA Chairman Ambassador Yuchengco summarized the activities undertaken by ABA since the last annual meeting held in September 2002 in Seoul. These activities included those in the areas of policy advocacy, professional development program, membership drive, relationships with other regional bankers groups, and participation in national and regional events. The full text of the Chairman’s Report is attached as Appendix 5.